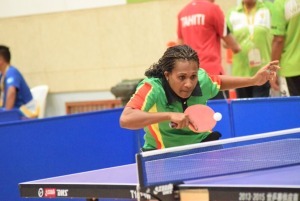 Suva played hosts for the 12th SPG widely regarded as the best and biggest games. Government funding aided by a generous Chinese government aid package saw the construction of a new gymnasium and indoor sports center, swimming pool and stadium, hockey pitch and stands as well as the upgrading existing facilities for other sports. 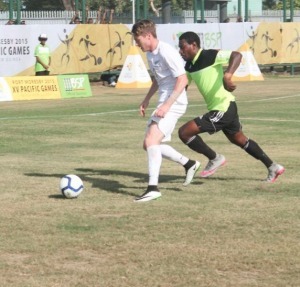 A strong corporate sponsorship package a first for the games enabled the organizers to work with a free hand towards their aims of making the games a success. A colorful and effective media and publicity campaign generated much interest and enthusiasm among the public in Fiji. Schools and youth groups were involved in interactive programs such as the adopt-a-country program. 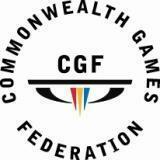 The last Games held in Suva during 1979 was touted as the last of the "super games" inanticipation of down sized games from there on. 2003 SPG proved this wrong. And the 2003 SPG in Suva was another super games in all aspects. For starters there were over 300 medal ceremonies with over 860 presentations and 2,300 individual medals. Fittingly Fiji won the first gold medals of the games in women's archery. From archery to weightlifting and all sports in between competition was intense. 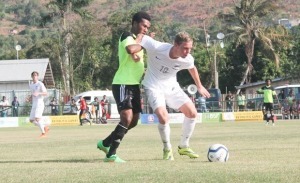 men's final while PNG took out the first ever women's football gold medal in a round robin format. New Caledonia dominated the golf competition after Neelkash Ram from Fiji with a dominant lead in the men's competition was disqualified for not signing his scorecard. Fiji won the women's hockey gold in the first ever competition at the SPG. 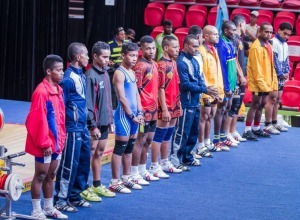 Martial arts based sports like Judo, Karate and Tae Kwon Do had their own exciting competitions with teams from Fiji, New Caledonia and Tahiti being dominant. The picturesque sport of lawn bowls saw Fiji maintain their regional dominance as they did in netball in an exciting finish over PNG. Pacific culture based sports like outrigger canoeing saw stiff competition between traditional rivals Tahiti and New Caledonia. 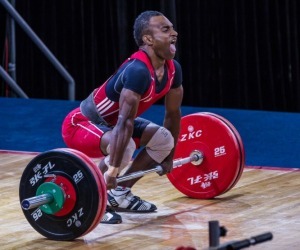 Fiji weighed in well in powerlifting and their rugby sevens team scored a popular win for the gold medal with surprise finalists Cook Islands. Clay shooting was another new sport for the games with Tahiti outgunning Fiji by 4 gold medals to 2. 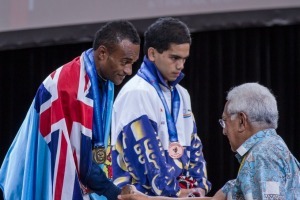 Tonga and Tahiti surfed to gold at Tavarua while the swimming pool in Suva saw New Caledonia take home more than half the total gold medals on offer. Fiji came from well back to take out the touch rugby gold medal. 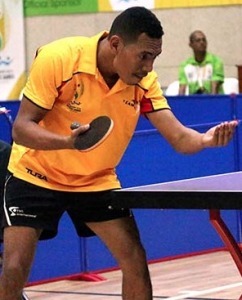 Tahiti and New Caledonia spiked to gold medal win in the volleyball competitions. 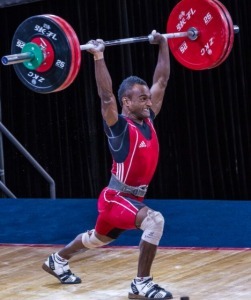 Little Nauru lifted their way to glory in weightlifting once again. Officially the final medal tally of the SPG does not recognize 'the winner of the Games". True to the spirit of the games competition and fairplay are the winners. The final medal is for record keeping. A tally of wins in the three categories of medals. The 2003 SPG saw a celebration of competition in true Pacific style with all countries and participants true winners.